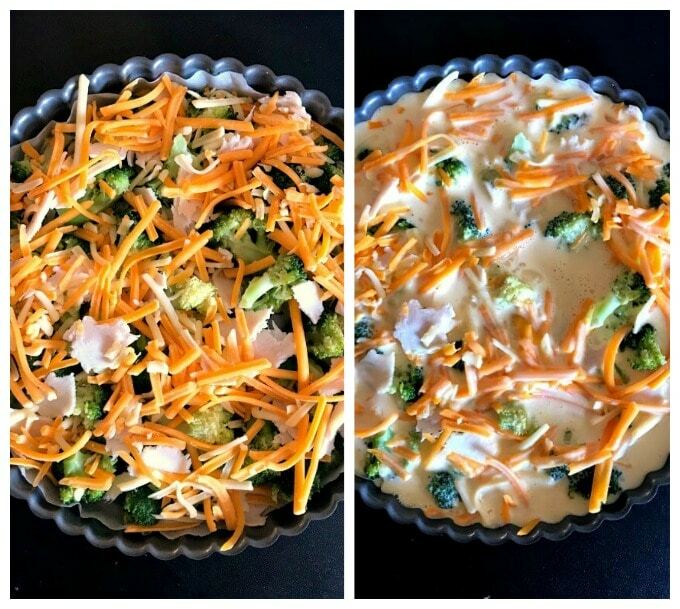 Crustless Broccoli and Cheese Quiche, a healthy recipe that is ready in about 30 minutes. Low carb, keto, and gluten free, this quiche caters for all tastes. As much as I like the classic quiche recipe, this crustless quiche exceeded all expectations in terms of taste and also texture. I was unsure how it would turn out without the crust, but I really loved it. It’s light, but also filling, and comes out perfectly if you use a non-stick pan, or, even better, a quiche tin with a detachable bottom. Mind you, you do need to use a non-stick perchament paper too, just because the egg mixture is pretty runny, and it can leak. But if you use a traditional quiche pan, just make sure you butter it well, so that the quiche can be removed easily once it’s cooked. The texture of this crustless broccoli quiche did remind me of my Healthy Breakfast Egg Muffin Cups with Kale and Tomatoes, which could be some mini quiches in fact. What I love about it, apart from the fact that is super delicious, is that it’s so easy to make. Quick and easy recipes is all I blog about (with the occasional not-so-quick recipes, but still easy), but some recipes are just dead easy. How do you make a crustless quiche? 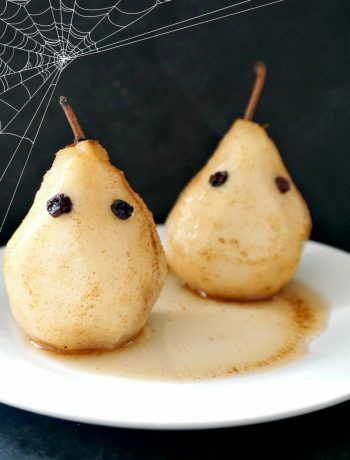 It’s super simple to make, and super delicious. I like cooking the broccoli beforehand, to make sure they are tender once the quiche is cooked. So, add the cooked broccoli to the quiche pan together with the cheese and any other filling you use. Separately, beat the eggs, add the milk and cream, season well, and pour it over the other ingredients. Bake for about 20 minutes at 180 degrees Celsius (360 Fahreneheit) or until cooked through. And if you embraced the keto or low carb diet, this is the recipe you need. While the egg mixture does not change, the sky is the limit when it comes to ingredients to add to it. Fish, chicken, bacon, and any other meat, any vegetable you can think of, anything goes. But if you’s rather go for the more traditional crust quiche, all you need is the pre-cooked crust, and then you follow the very same steps, and you will get the very best quiche recipe. What is the difference between a crustless quiche and a fritatta? A fritatta is usualy made only with eggs, where the crustless quiche uses milk and/or cream as well. They can both be baked in the oven, and have anything you fancy as a filling. From brunch, packed lunch, or an easy dinner, or just a quick recipe when you don’t know what else to cook, this quiche covers it all. I opted for half full-fat milk, and half double cream/heavy cream, and I think that’s the very best combination. Now, how many eggs you add and milk/cream you add depends entirely on the size of your pan. Mine has 19.5 * 18 * 4 cm, so you can use more or less ingredients. 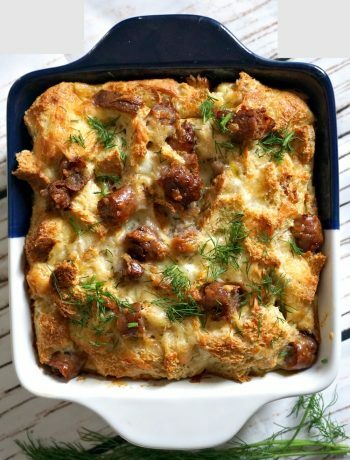 You can replace the cream with sour cream, or even cottage cheese, the texture should not change drastically, and I don’t expect the quiche to become heavier. `You can enjoy the quiche either warm or cold, but I must say, I actually liked it even better cold. If you want to reheat it, you can either pop it in the microwave or oven. However, if you go for the crust quiche, always warm it up in the oven, otherwise it becomes soggy. 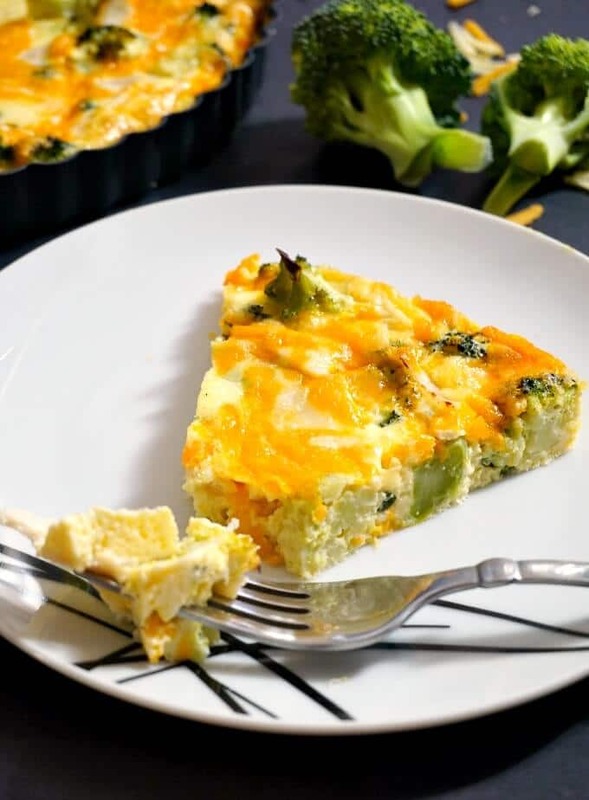 This crustless quiche can be made ahead and refrigerated, or you can cook the broccoli beforehand, and just bake it before your meal. 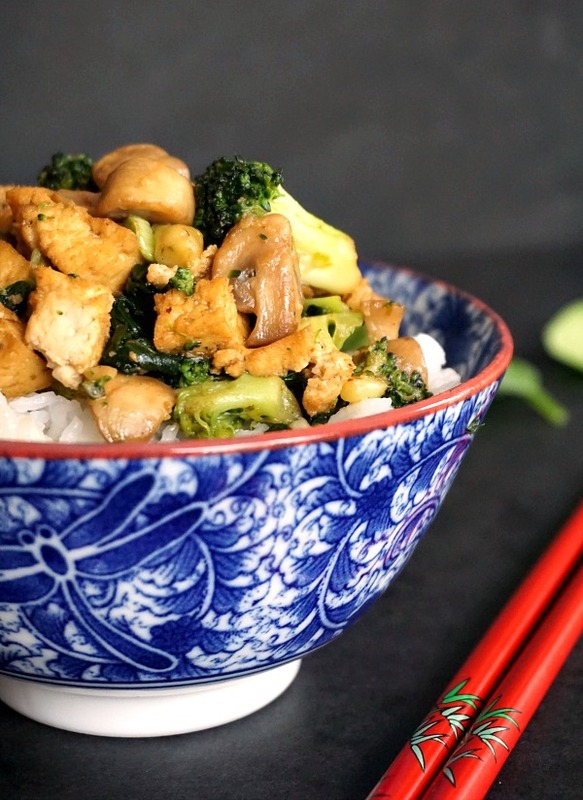 It’s quick, it’s easy, and super healthy. Making it from scratch takes actually less time and effort than freezing and defrosting it, so I usually make fresh one every time, rather than freezing. A guilt-free twist on your favourite quiche, this recipe will become a big hit with you too. 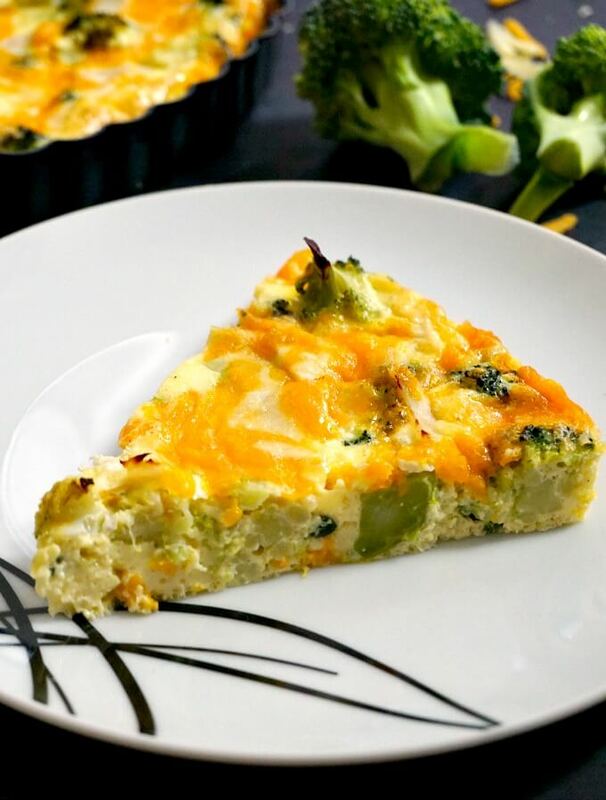 If you’ve liked my LOW CARB CRUSTLESS BROCCOLI AND CHEESE QUICHE or any other recipe on the blog, then don’t forget to rate the recipe and let me know how you got on in the comments below, I love hearing from you! You can also FOLLOW ME on FACEBOOK, and PINTEREST to see more delicious food and what I’m getting up to. 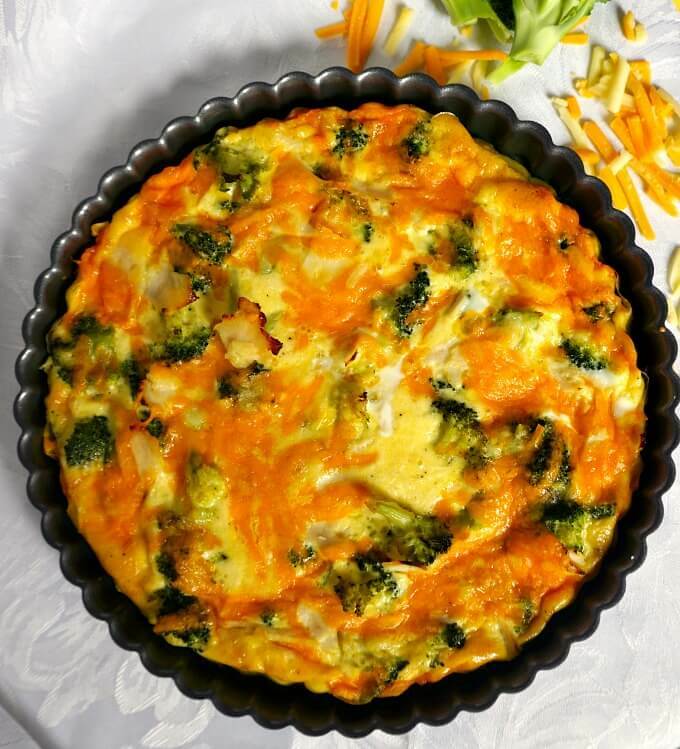 Crustless Broccoli and Cheese Quiche, a healthy recipe that is ready in about 30 minutes. 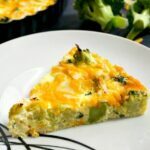 Low carb, keto and gluten free, this quiche caters for all tastes. It's also kid-friendly recipe. Preheat the oven to 180 degrees Celsius (360 Fahrenheit). Break the broccoli head into small florets, and cook for about 5 minutes until tender. Set aside and leave to cool. Beat the eggs, then add the milk, double cream, salt and pepper and mix well. In a quiche or flan tin, spread the broccoli florets. grated cheese and chicken pieces (if you use) over the bottom on the tin, then pour over the egg mixture. Bake for about 20 minutes or until the quiche is cooked through.